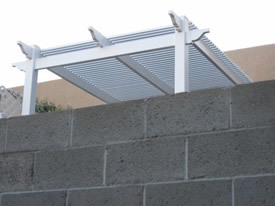 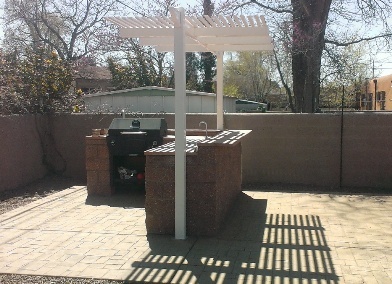 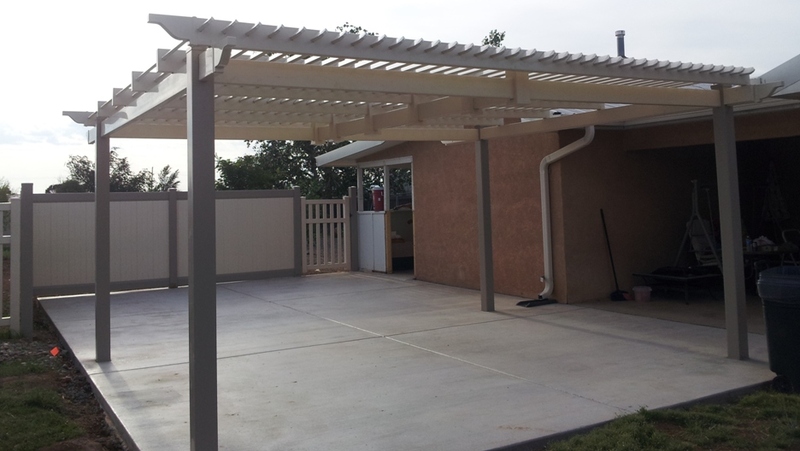 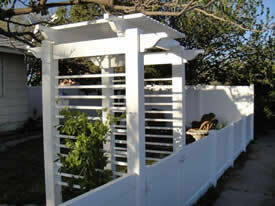 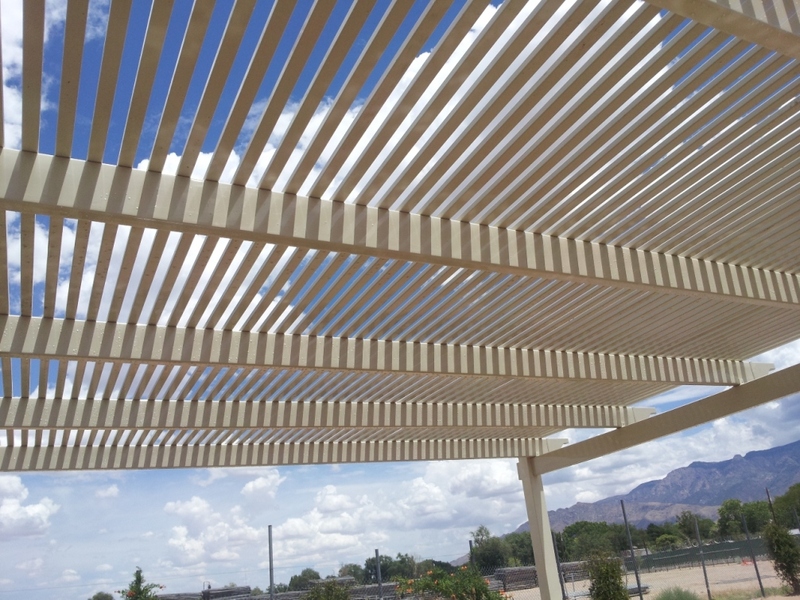 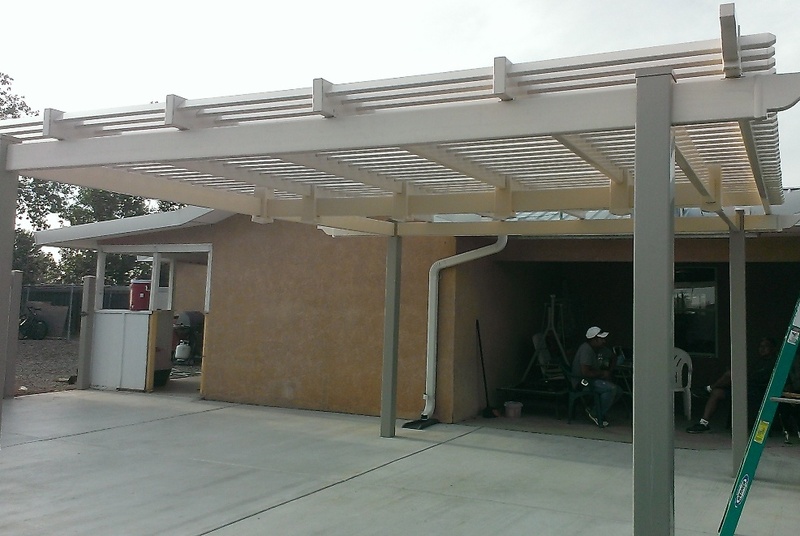 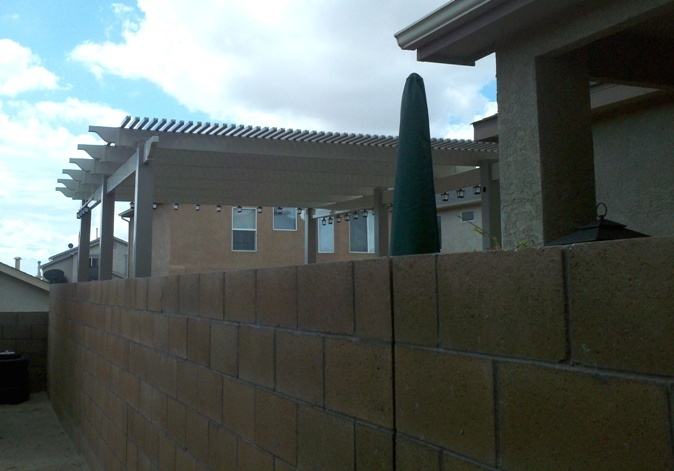 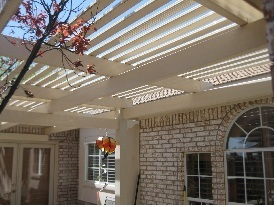 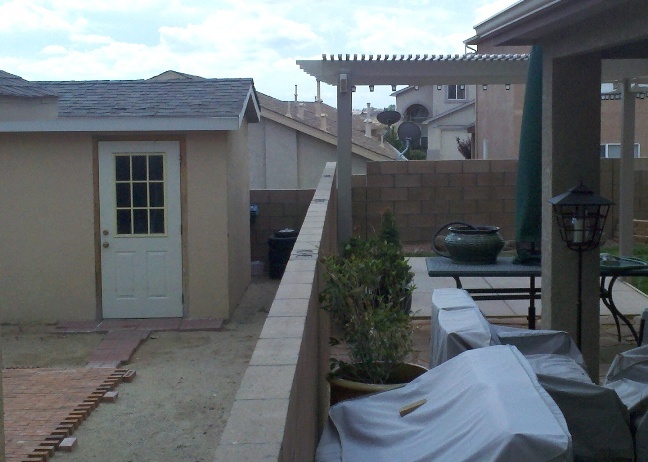 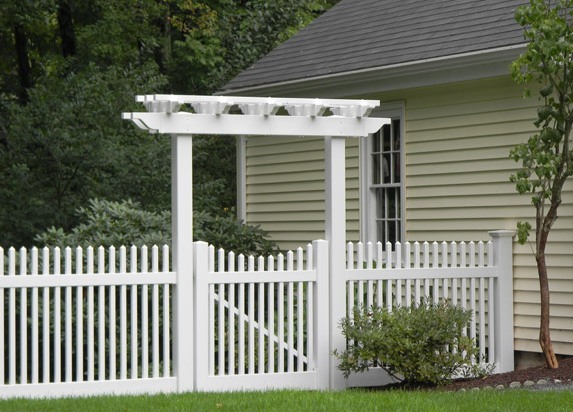 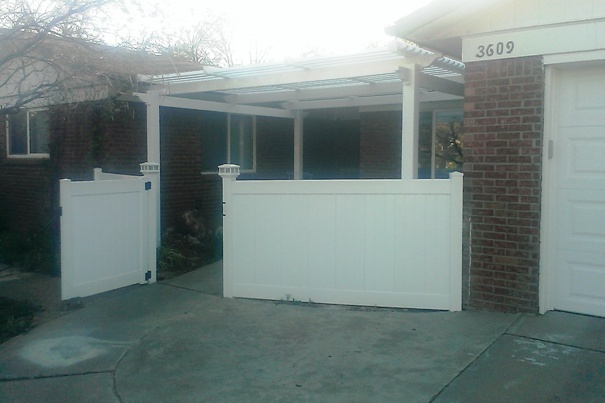 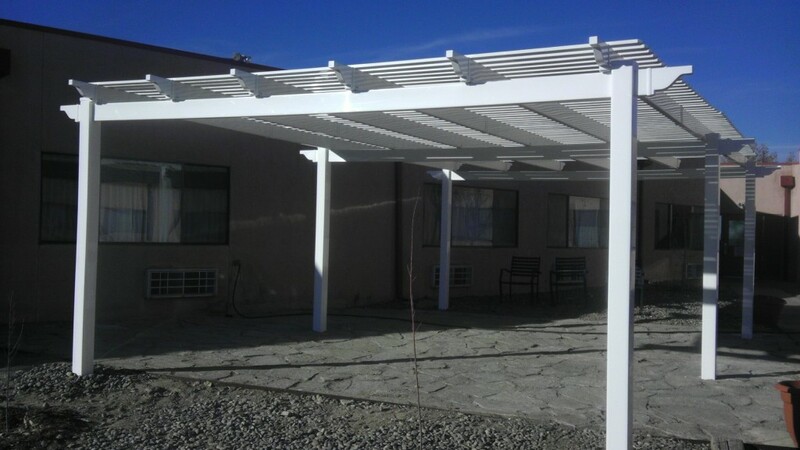 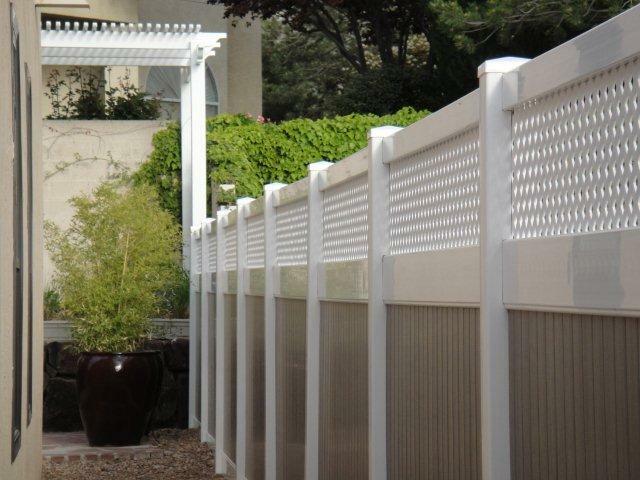 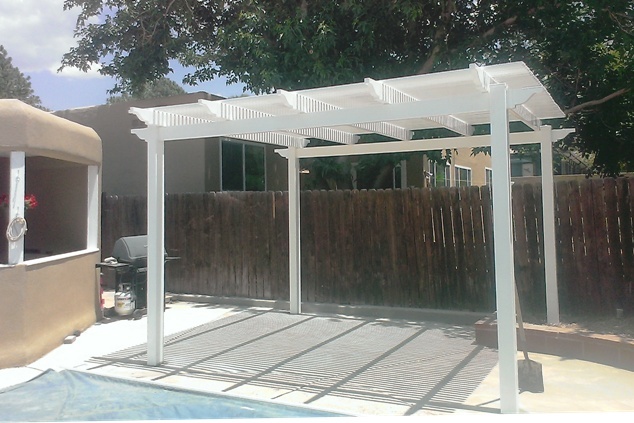 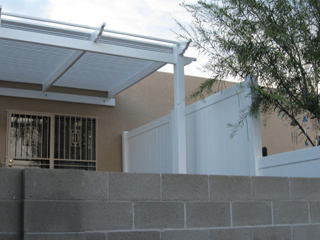 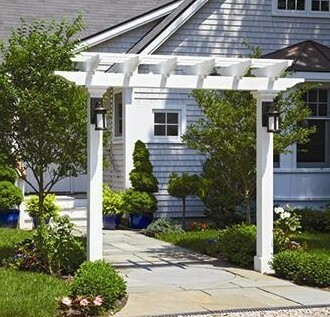 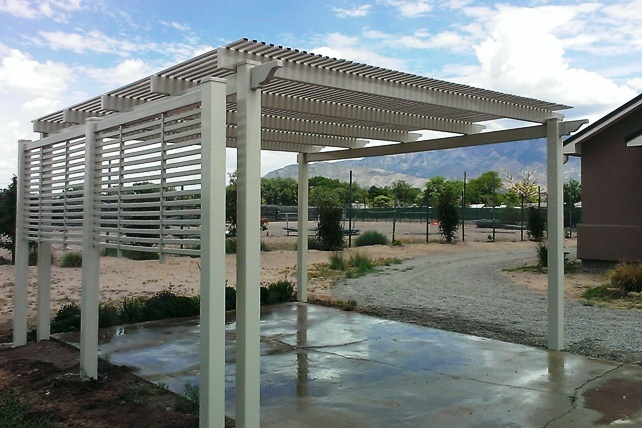 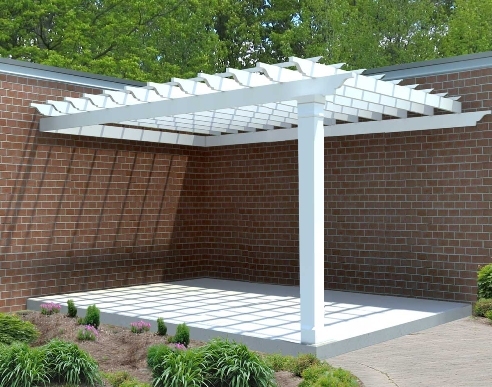 17 - This homeowner chose 3" shade pieces and 3" spacing for this all-beige pergola. 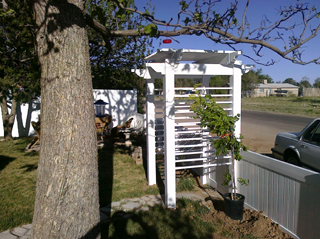 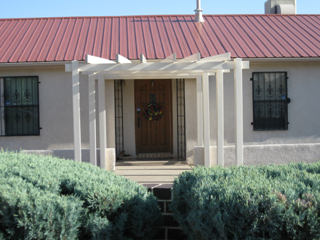 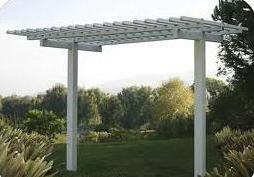 18 - The middle support beam of this 2-tone adobe & sandstone pergola spans the entire length without posts. 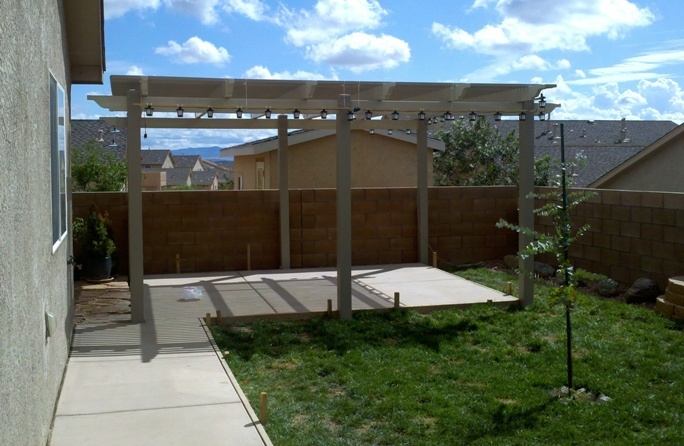 It is suspended by the 6 crossbeams with trusses comprised of steel-reinforced 5"x5" posts and 2"x6" rails.